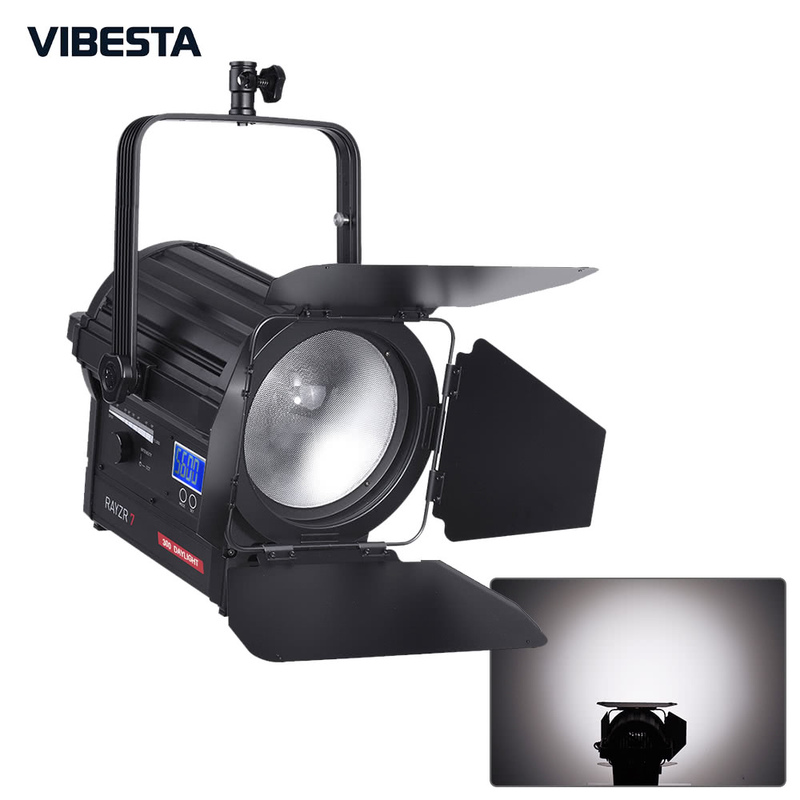 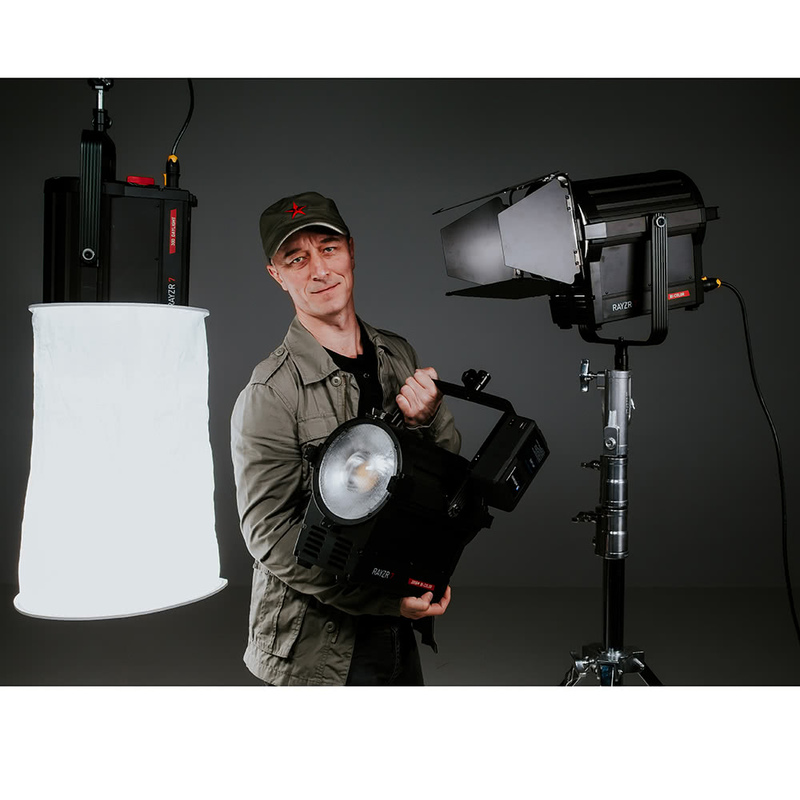 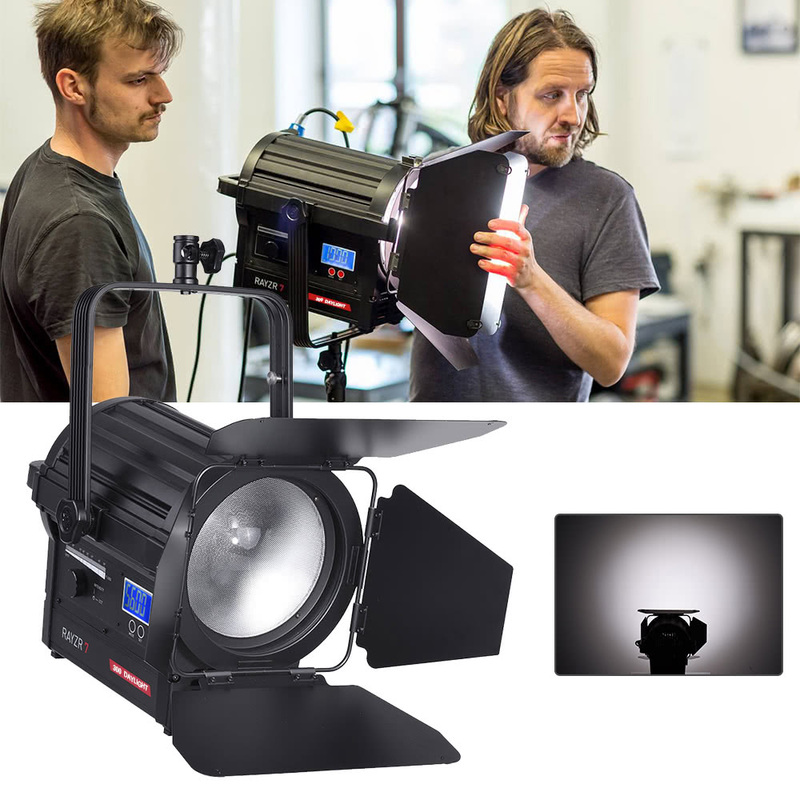 How bright is Vibesta Rayzr 7-300 LED focus light? 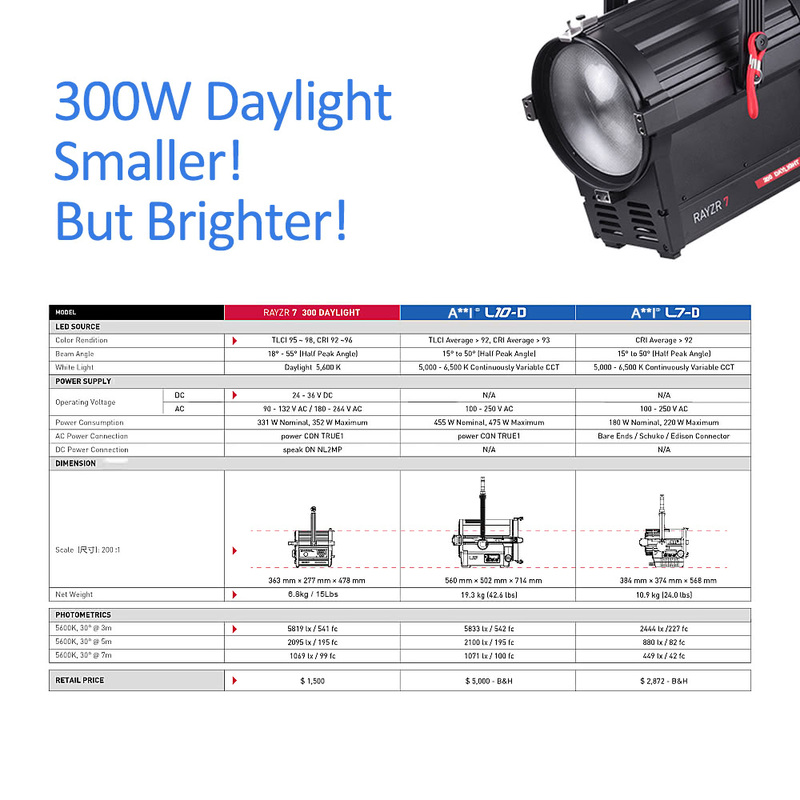 300W output power! 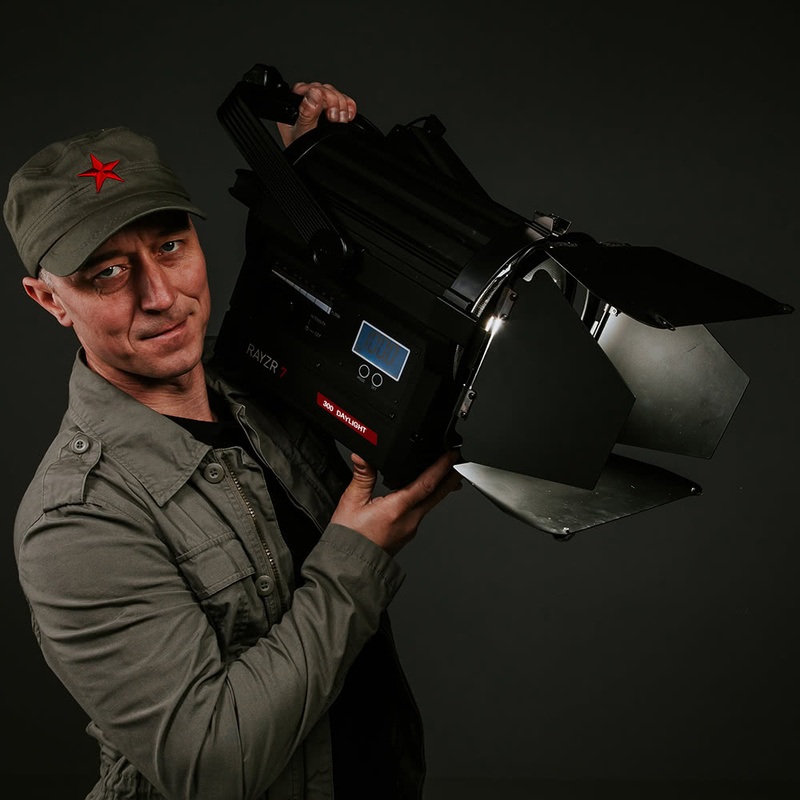 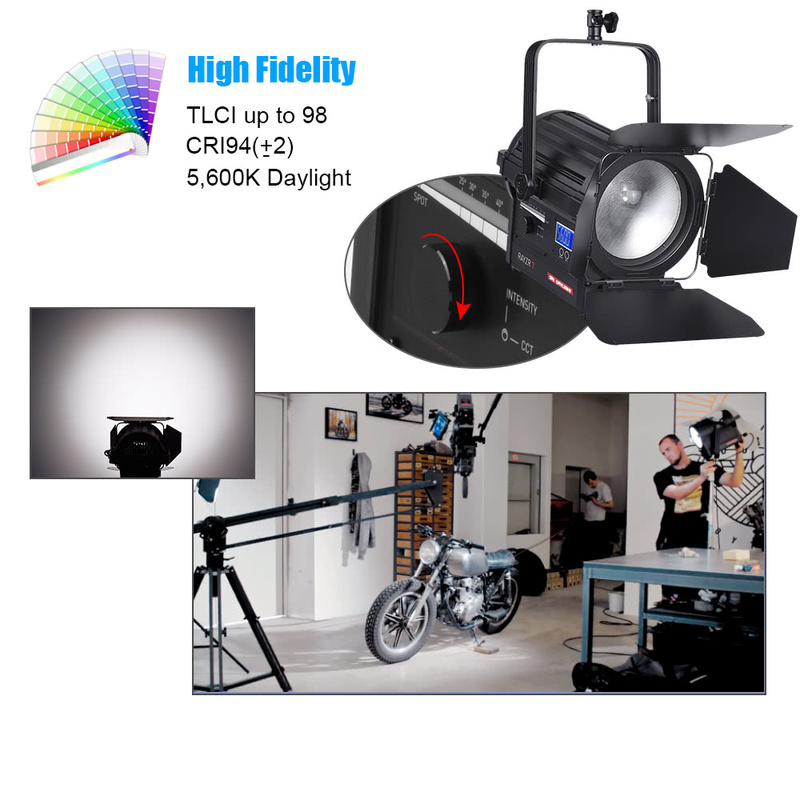 Strong light, 5,600K daylight, sharp shadow, TLCI up to 98, CRI 92 ~ 94, focusable, no stroboflash, vapor cooling system, DC/AC power supply, 50,000hrs estimated lifetime, heavy duty construction...making it an ideal light source for movie and television media, filming, interview, studio lighting. 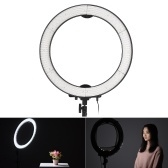 Distinct your main object! 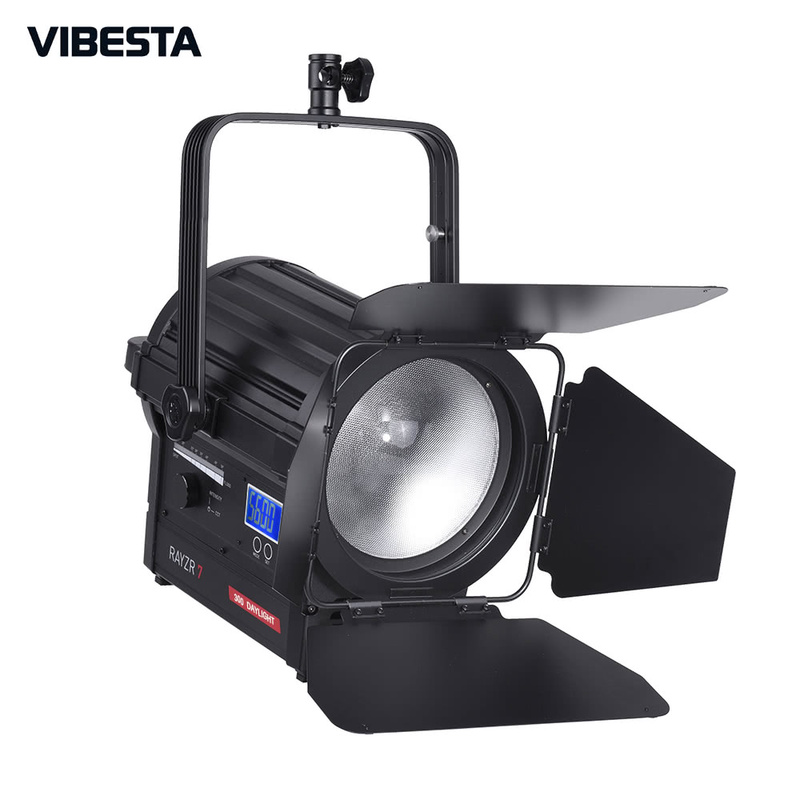 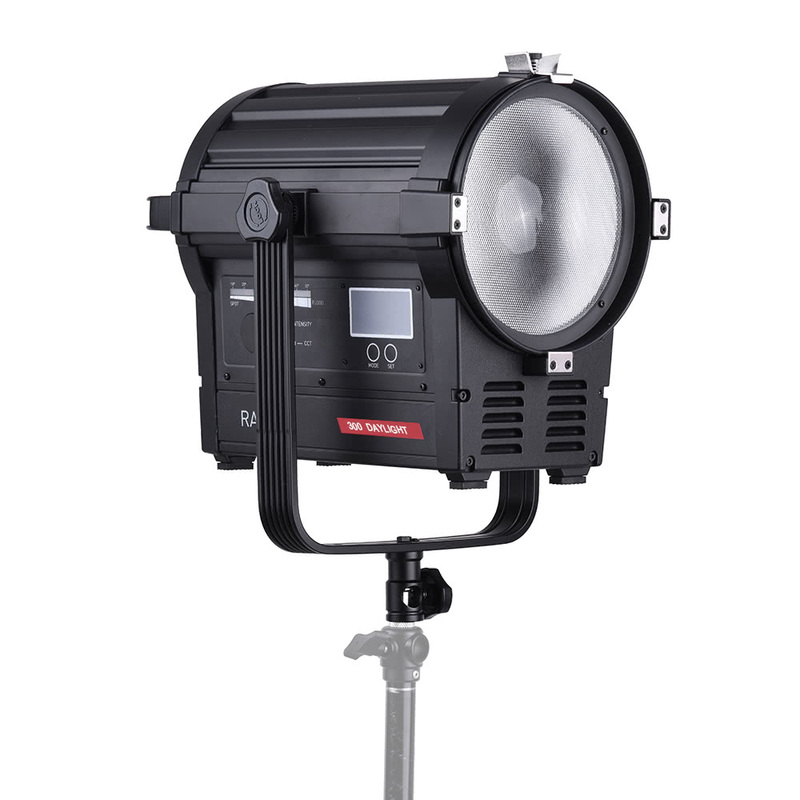 300W high output power LED focus light, light up every detail and distinct the main subject; weight only 6.8kg / 15Lbs, smaller and lighter! 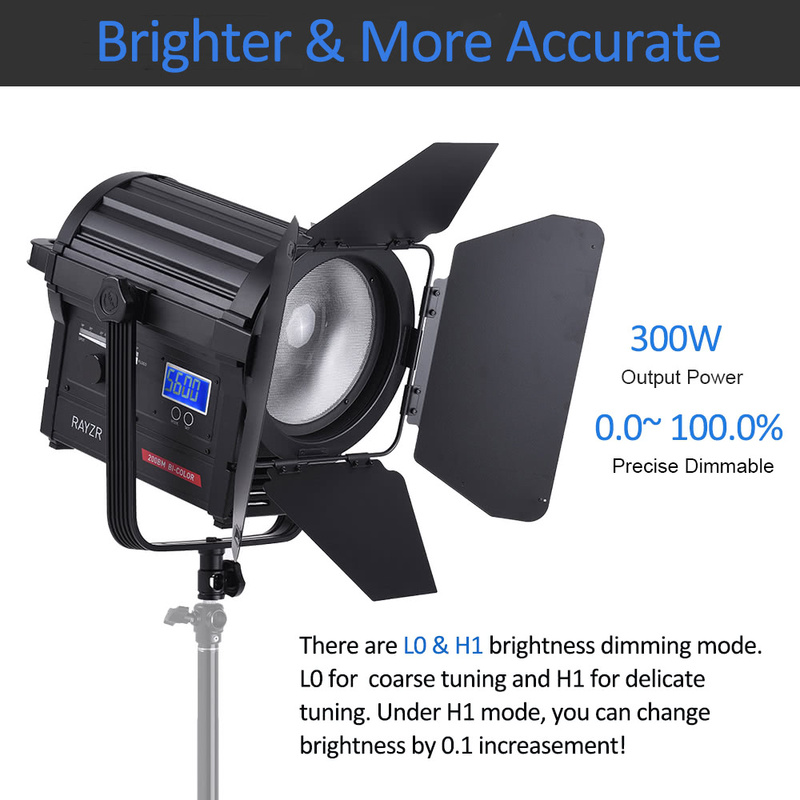 5,600K daylight, TLCI up to 98, CRI 92 ~ 94, 0 ~ 100.0% dimmable brightness, present the truest color, ensure high fidelity. 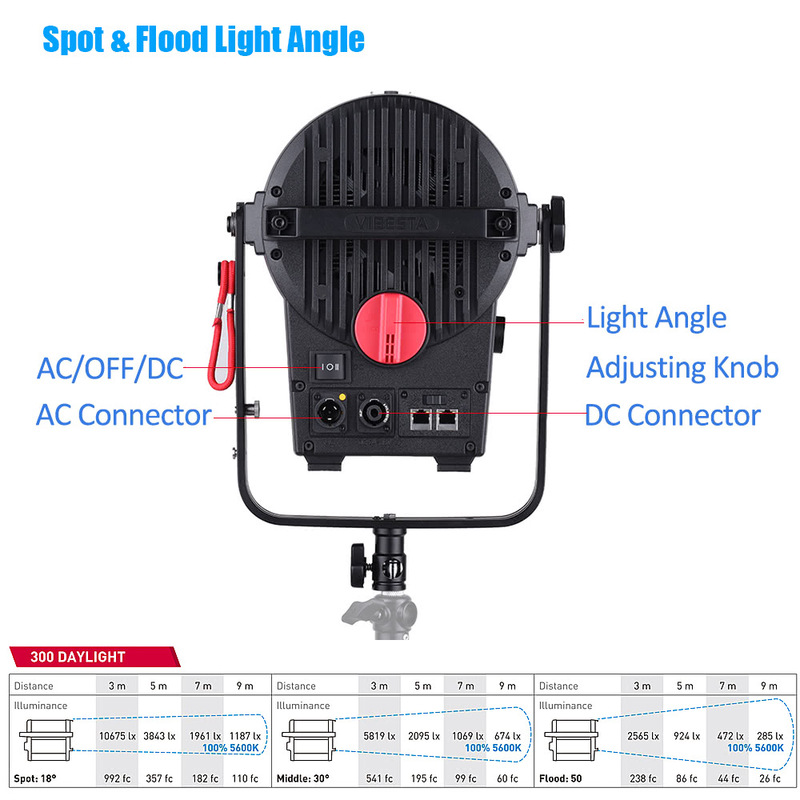 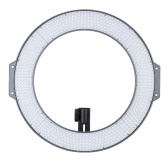 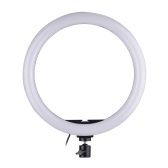 You can adjust the light angle from 18 to 50 degree; comes with a detachable 4-leaf barn door. 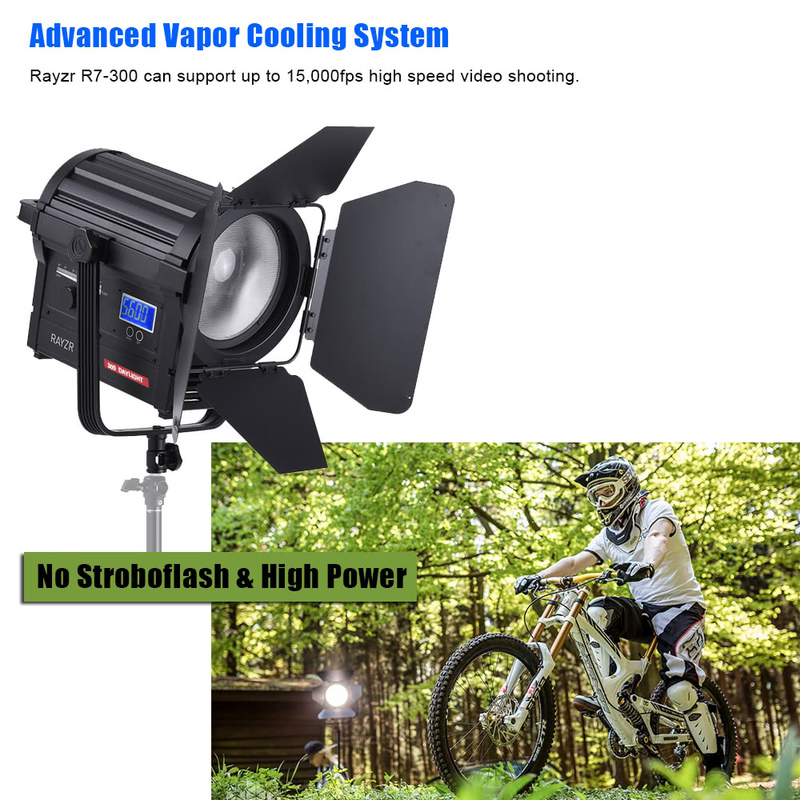 No stroboflash, the high power light source can support up to 15,000fps high speed video shooting, with advanced vapor cooling system. 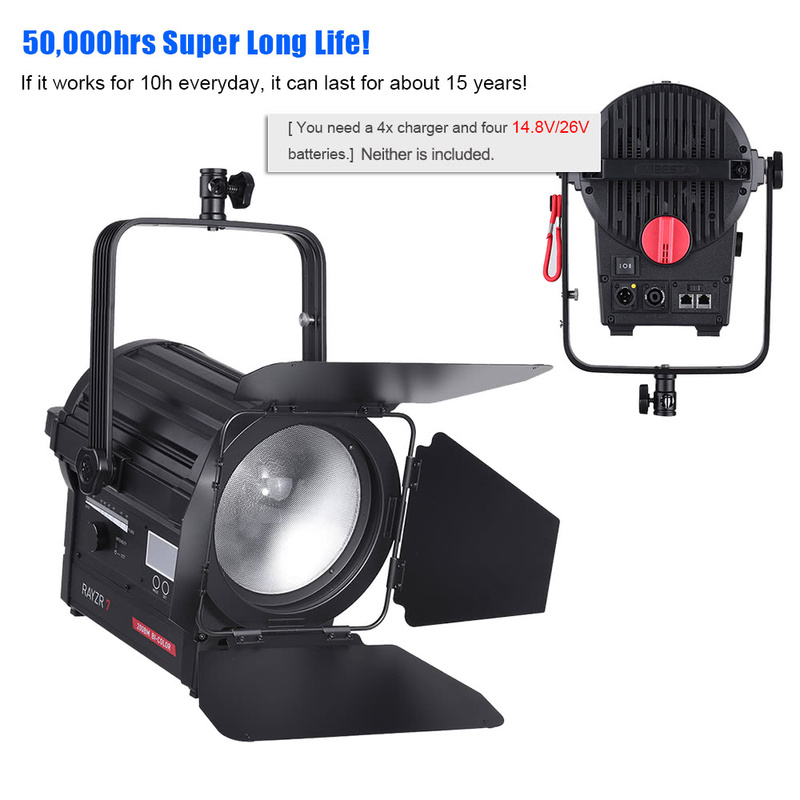 50,000 LED lifetime, estimated that it can be used for 15 years if work 10h per day. 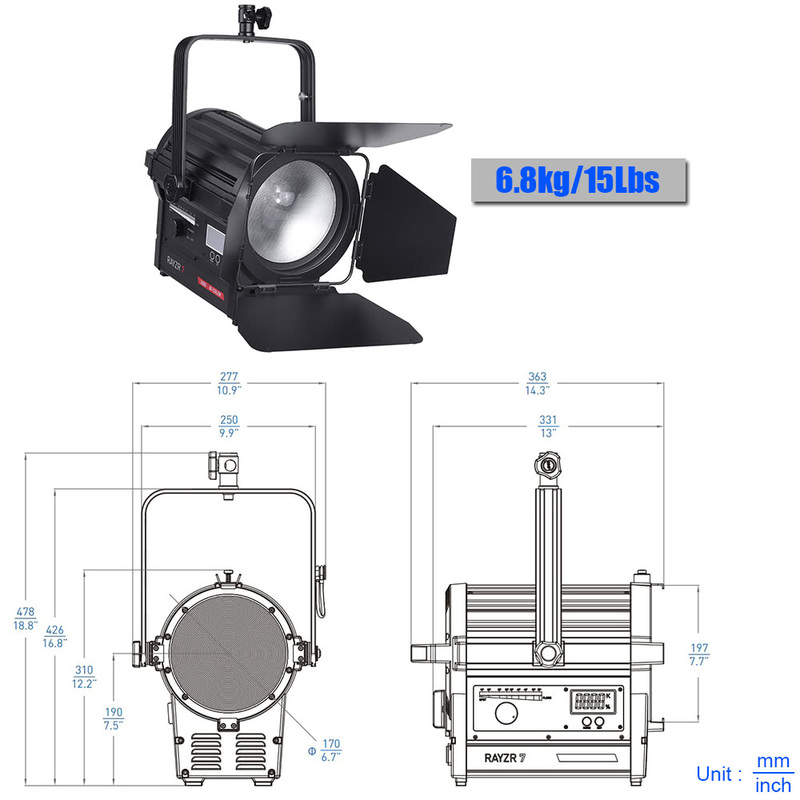 Compact and lightweight, heavy duty construction, with +/-90°rotatable tilt, easy to carry and hold. 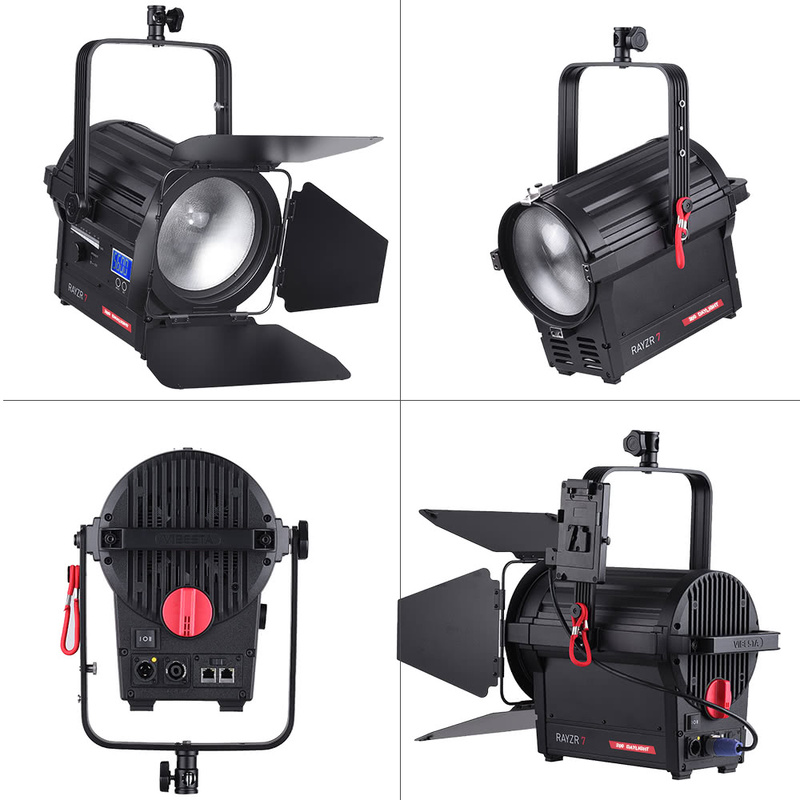 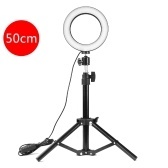 Ideal for movie and television media, filming, interview, studio lighting. 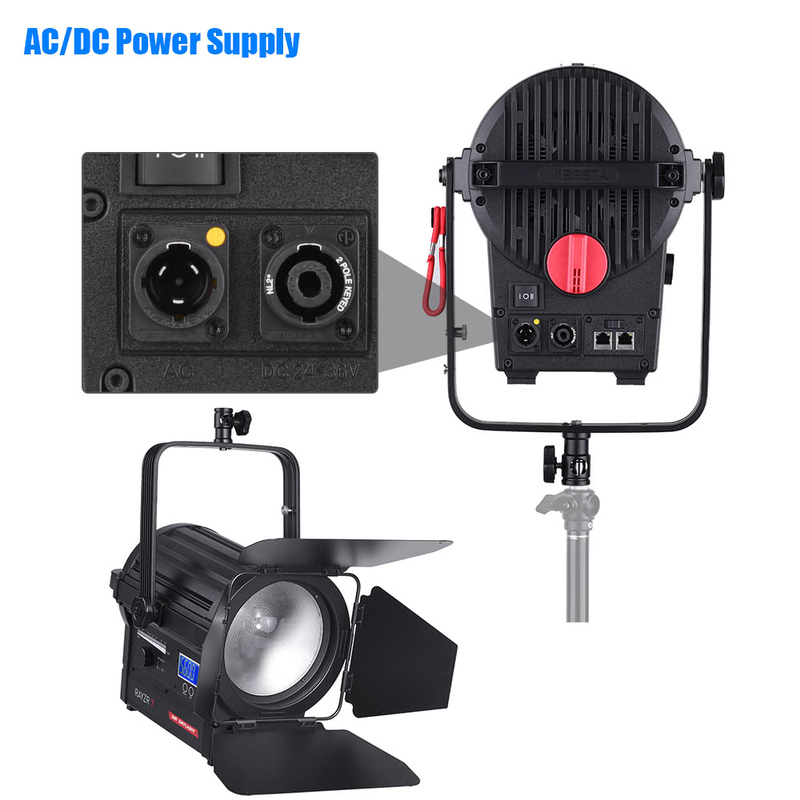 4x charger and battery are not included.